One of the most important questions that independent travelers like us need to answer before arriving in our destination is: How to get from airport to city? 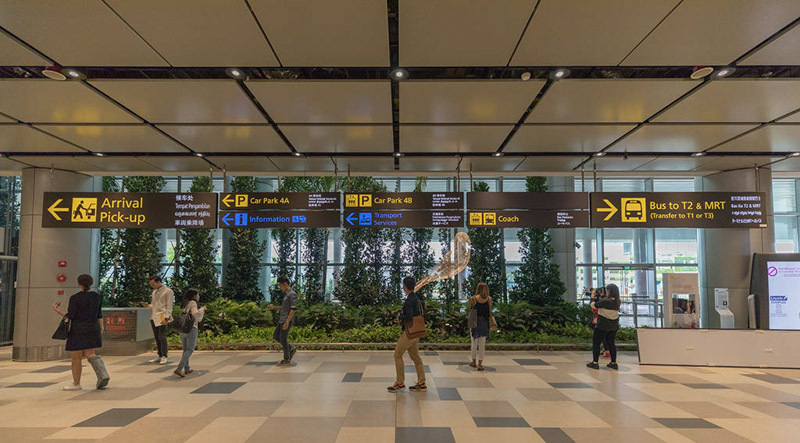 Through this article, I hope to give you an overview of all the possible methods and estimated prices to get from Changi Airport to the city. Let’s cut the introduction short and go directly to the answers! 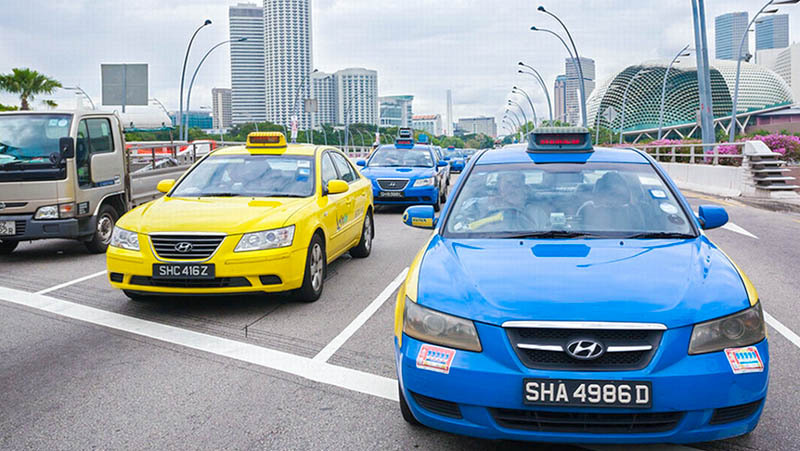 This is one of the most popular methods because it’s so easy to find a taxi in Changi Airport. Every terminal has its own taxi stand (which is located at Arrival Hall), and taxis are always available. If you arrive during peak hour together with plenty other flights, you might need to queue for a while. If you don’t like to queue, you can also book from Comfortdelgro app where you can choose flat-fare or meter-based fare. Please note that the maximum number of passengers allowed in a taxi is 4 people. If there are more than 4 people in your group and you can consider taking private airport transfer which I’ll write more about in point 5. Pro: Easy to get a taxi, just go to the arrival hall of any terminal. Comfortable and fast. Cons: More expensive than public transport so it’s not recommended for budget travelers. How to pay: By cash (no admin fee), credit card (admin fee is 10% of the ride cost + GST 7% of the admin fee), AliPay (admin fee is 5% of the ride cost + GST 7% of the admin fee), EZ-Link/NETS FlashPay ($0.30 admin fee, which is better than using credit card). Ride sharing has definitely transformed the way we live nowadays, hasn’t it? In Singapore, the biggest ride sharing app is Grab (sign up here to get discounted rides). Other smaller ride sharing companies are Gojek, Ryde, TADA, Kardi, Urge. Before booking Grab, I suggest that you compare the price with Comfortdelgro app, because sometimes Grab may impose surge pricing if the supply is lower than the demand. During surge pricing, Comfortdelgro will obviously be cheaper than Grab. Where to find your ride? Follow “Arrival Pick-up” signs. I recommend that you go to “Arrival Pick-up” first before making your booking, because these pick-up locations are quite a distance from the terminal. At T1 and T3, “Arrival Pick-up” is at Basement 1. Meanwhile, at T2 and T4, “Arrival Pick-up” is at Level 1. Pro: Flat fare. You’ll know the final price before you book. Cons: More expensive than public transport so it’s not recommended for budget travelers. If you’re traveling alone or with someone, you can use GrabShare which is cheaper than other mode. 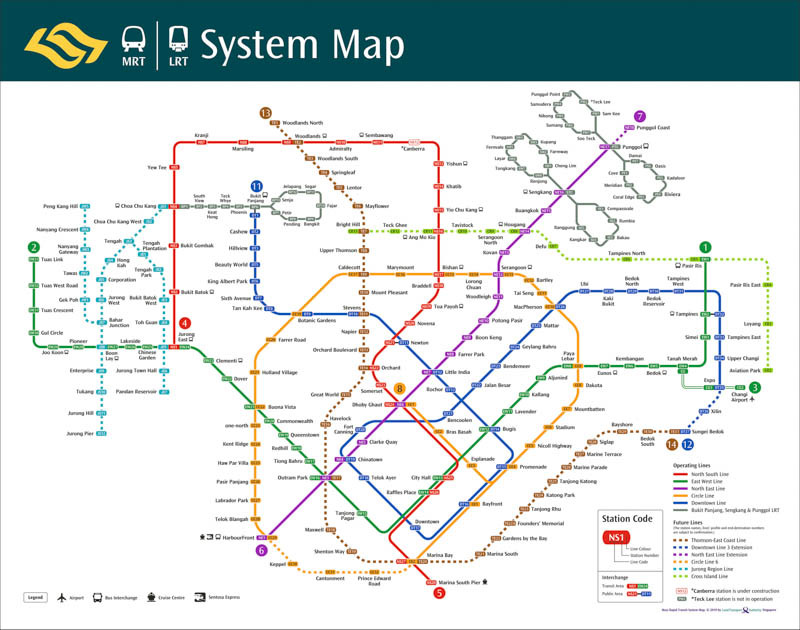 Estimated cost: SGD 12-20 to Bugis, SGD 15-25 to Orchard, depending on surge pricing and ERP (location surcharge imposed by government). How to pay: By cash, credit card (you need to set up your card details in advance). MRT (Mass Rapid Transit), or train, is one of the cheapest method to get to the city beside bus. Basically, to ride MRT, you need to purchase a travel card. 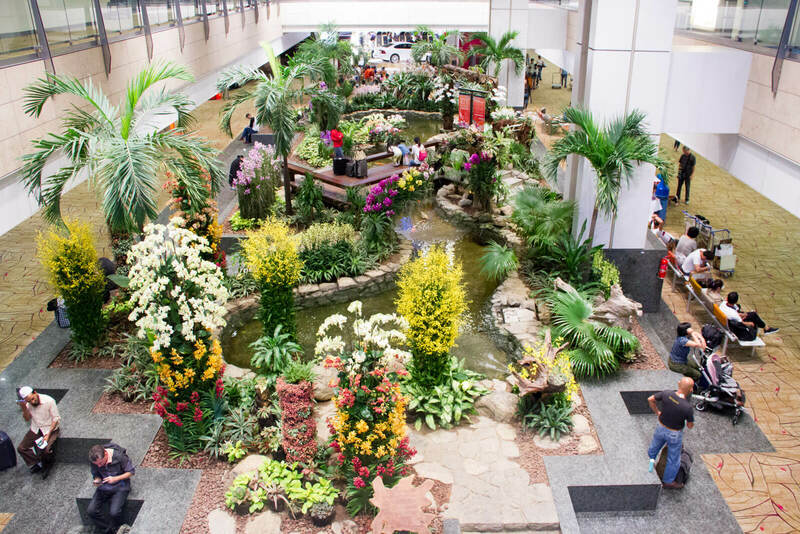 MRT departs Changi Airport from 5.30am to 11.18pm (Mondays to Saturdays) and 6.30am to 11.18pm (Sundays and Public Holidays). So if your flight arrives outside these timings, you should consider other method. If you want to wait at the airport until the first train operates, it is possible because the airport is open 24 hours a day. The MRT station can only be accessed from Terminal 2 and 3. So, if your flight is arriving at Terminal 1, you need to take the skytrain to either Terminal 2 or 3. If your flight is arriving at Terminal 4, you need to take the shuttle bus to Terminal 2. Please note, the MRT you’re taking from Changi Airport will terminates 2 stations later at Tanah Merah Interchange, where you HAVE TO get off and change train to either Tuas Link-bound or Pasir Ris-bound train. Cons: If you travel during peak hours when people go to work or get off from work, get ready to be squeezed left and right. Estimated cost: SGD 1-2 to anywhere. How to pay: By travel card (EZ-Link, Singapore Tourist Pass, Standard Ticket or NETS FlashPay). Bus used to be the mysterious transportation that tourists run away from. Most first-timers can’t figure out which bus to take, where to stop, how to pay, how to take a bus. Fortunately, Google Maps has transformed the way people take bus here (and pretty much everywhere else). Just launch the app, insert your origin and destination, press directions, there you go. It will tell you which bus to take, where to board, where to alight. But, how to actually take a bus? Okay, so you need to have exact cash (no change will be given) or travel card. Wait in line at the bus station (follow “Bus to City” sign) located at every terminal in Changi Airport. When the bus came, enter the bus FROM FRONT DOOR. If you’re paying by cash, tell the driver your destination and he’ll tell you the price, then put the cash in the box near the driver and collect the ticket from another box behind the driver. Keep the ticket until you arrive at your destination. If you’re paying by card, just tap it at the car reader near the front door. If your stop is coming up next, press the bell and get ready to alight. When the bus arrive at your destination, leave the bus from the BACK DOOR. If you’re using travel card, tap it at the card reader. If you used cash to pay, you don’t have to do anything. That’s it! Easy, right? Bus operates approximately from 5.30am to 11.30pm so if you arrive outside that timing, you can wait in the airport until morning or you can consider other transport methods. 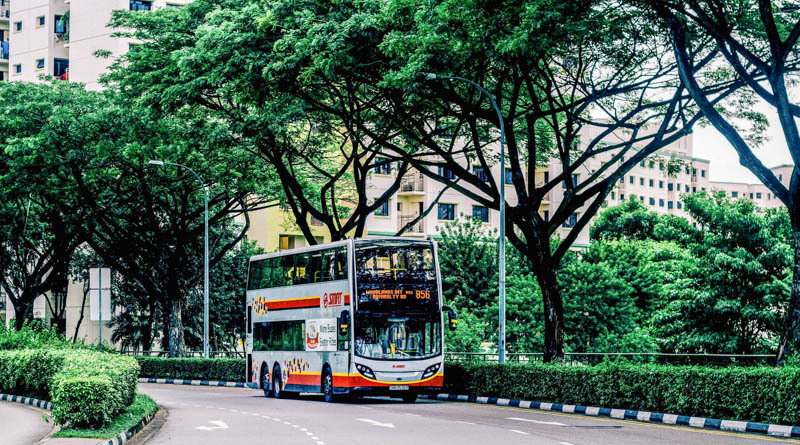 The buses that pass through Changi Airport are 24, 27, 34, 36, 53, 110 and 858 (for Terminal 1, 2, 3) and 24, 34, 36 and 110 (for Terminal 4). Pro: Cheap and can reach places that MRT can’t. Cons: Not convenient if you carry many stuffs. Slow. It takes about 30 mins to 1 hour to get to city by bus, and more than 1 hour if you are going to faraway places. How to pay: By exact cash or travel card (EZ-Link, Singapore Tourist Pass, Standard Ticket or NETS FlashPay). So, taxi is too small for your group? Not keen to queue for taxi or find ride-sharing too troublesome? Hate the crowd and the inconvenience of public transport? Then, you should go for private transfer. 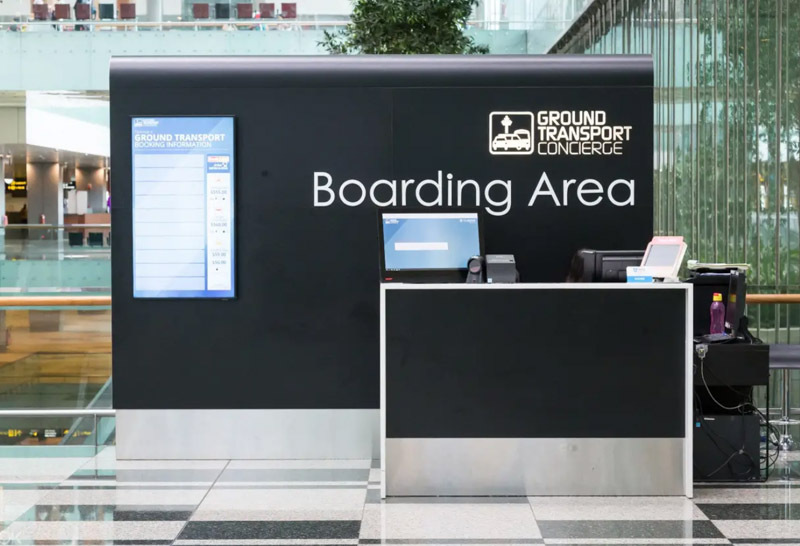 On the day itself, go to “Ground Transport Concierge” located at every Terminal in Changi Airport. It’s open 24 hours a day. 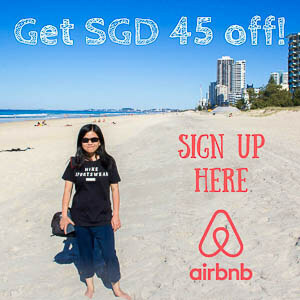 They provide 4-seater vehicle (S$55 per trip to any destination in Singapore) and 7-seater vehicle (S$60 per trip to any destination in Singapore). If you’re the type of person who loves to plan everything in advance, try to check out private airport transfer by Klook . Their prices are quite reasonable and you can choose your preferred car brand. Ask your hotel if they can arrange a free or paid airport transfer for you. Get their quote and compare the price with the 2 methods above. Estimated cost: SGD 30-60 to anywhere. You want door-to-door transportation but you don’t have budget for taxi, ride sharing or private transfer, what do you do? Well, if your hotel is located at downtown, the best option for you is Airport Shuttle. The shuttle will pick you from any terminal of Changi Airport and drop you at your hotel if it’s in the list. It’s available 24 hours a day. It costs $9 for adult and $6 for child. The frequency is every 15 mins during peak period, and up to 30 mins during non-peak period. 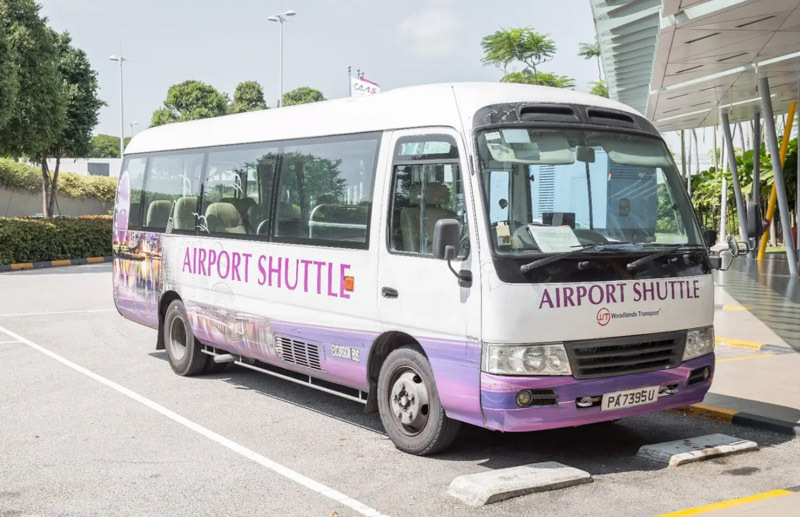 You can book on the day itself from “Ground Transport Concierge” located at every Terminal in Changi Airport, or you can book in advance from City Shuttle or Klook , they’re the same bus. Pro: Comfortable and convenient. 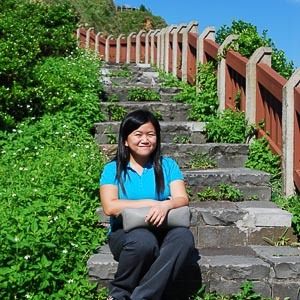 Great option for solo travelers who wants both convenience and affordable price. Cons: Not the cheapest method. Baggage allowance is limited to 1 luggage and 1 carry-on. Estimated cost: SGD 9 to hotels in downtown. Basically, you can use either of the 6 methods above to get from city to the airport. The next part after getting to your hotel is, of course, explore the fabulous city! 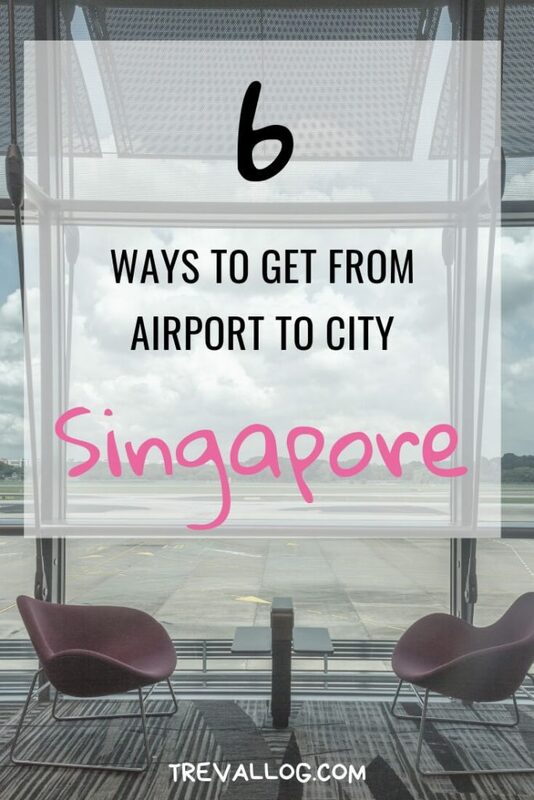 I have written a couple of posts that you might find useful, such as how to get around Singapore, how to find the best SIM cards in Singapore, and many more tips about traveling in Singapore.